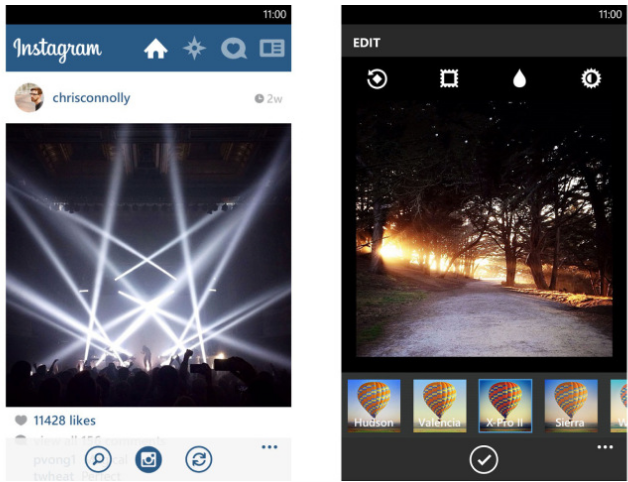 Nokia promised the arrival of Instagram on Windows Phone platform at Nokia World in Abu Dhabi last month and the first version of the App, Instagram BETA is now available for free download for Windows Phone 8 users only. Instagram was a major App, with a user base of 150 million users, missing from Windows platform, and a great bridge has been built by this forged alliance. The desperate attempts to bring this App to Windows platform which includes #2instawithlove Nokia App have finally paid off. Some features will be missing in this Instagram BETA App which includes Video capture and Upload, Video tagging and viewing geotaxis won’t make it to the Beta version. You can still browse through friends photos, like them and apply a variety of filters. If you are tagged in a pic you will be able to untag yourself. Instagram has assured that missing features will be available in the upcoming updated version.with the arrival of Vine and Waze, Instagram was the first App which came to mind, while talking about the limitations of Windows phone Eco system, although it could still be accessed using some third party Apps like 6tag which many consider a better alternative to original Instagram (certainly better than the BETA version). You can Download Instagram BETA for Free from Windows Store.